After abruptly shutting down its presence in the country a few years ago, Xiaomi is reportedly planning to stage a comeback with plans for physical stores as well as online stores on Lazada and Shopee. Xiaomi first entered the Philippine market in 2014 and sold mobile phones and other electronic gadgets through online channels such as Lazada. However, the company’s online retail strategy couldn’t cope with the highly competitive marketplace so they shuttered their Manila operations. Their Facebook page Mi Philippines also stopped posting updates. Fans of Xiaomi were left in the dark with the sudden departure of the company from the country. 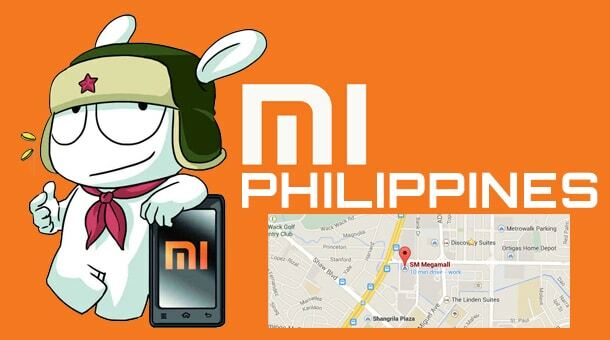 Owners of Xiaomi phones had difficulties finding service centers to go to when they had problems with their devices. That’s all in the past now as the Chinese tech giant is getting ready for its return. A company representative said that they will build two pop-up stores: one in Quezon City and another in SM Megamall. The stores will allow customers to try Xiaomi devices first-hand before buying. The first store will likely open in time for the Chinese New Year on February 16, 2018. We can expect popular devices such as the vaunted Redmi Note 5A to be displayed in those stores. Xiaomi is not only known for mobile phones, though, so other products like vacuum cleaners, television sets and electric bikes could be sold there in the future. Xiaomi Philippines will open a physical store in SM Megamall. If you’re not in Metro Manila, you can still buy Xiaomi mobile phones and devices from the Lazada store. I bought a Redmi 1S from Lazada way back in 2014, and until now, it’s still going strong. One of the best purchases I’ve ever made in Lazada, if you have to ask me. Xiaomi is expanding its presence in emerging economies such as India, so it’s only natural that they’re coming back to the Philippines after a long hiatus. The Philippines is one of the fastest growing markets for mobile devices, and it would be foolish for an ambitious company like Xiaomi to stay away for long.